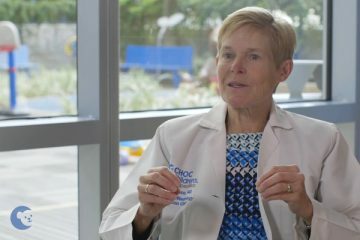 As one of the country’s most highly regarded pediatric epileptologists, Dr. Zupanc has been instrumental in the development of comprehensive pediatric epilepsy programs throughout the country—here at CHOC Children’s, and previously at Mayo Clinic, Columbia University and NYU School of Medicine. 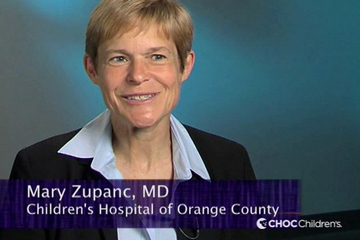 Dr. Zupanc is highly esteemed for her scholarship and contributions to the advancement of pediatric neurology. She has presented at numerous nationally and internationally recognized lecture series, and is a much sought speaker. An internationally recognized expert, Dr. Zupanc has published many articles in peer reviewed journals, most notably the Journal of Pediatric Neurology, regarding pediatric epilepsy surgery and outcomes, the efficacy of Felbamate, and infantile spasms. Dr. Zupanc is the author of 15 textbook chapters including the chapter on epilepsy surgery in the field’s primary textbook, Pediatric Neurology. Dedicated to clinical excellence, Dr. Zupanc is board certified in pediatrics by the American Board of Pediatrics and in child neurology by the American Board of Psychiatry and Neurology. She is board certified in clinical neurophysiology by both the American Board of Psychiatry and Neurology and the American Board of Clinical Neurophysiology. 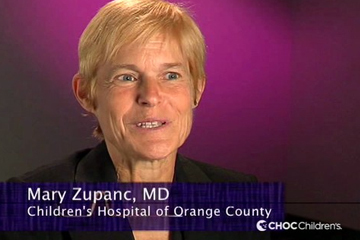 Dr. Zupanc received her medical degree at UCLA, graduating first in her class. She completed pediatric residency at the University of Washington and her pediatric neurology fellowship at the University of Wisconsin. She has had additional training in advanced epilepsy at the University of Wisconsin, UCLA, and Stanford University. Highly regarded for her expertise, Dr. Zupanc has received numerous awards for teaching recognition and clinical care at each of the major institutions she has served. 1201 W La Veta Ave.
Marcuccilli C, Zupanc ML. Pharmacogenetics in Pediatric Population. Pending publication in New England Journal of Medicine 2016.1. Marcuccilli C, Zupanc ML. Pharmacogenetics in Pediatric Population. Pending publication in New England Journal of Medicine 2016. Knupp K and the Pediatric Epilepsy Research Consortium (Zupanc ML, et al). Response to Treatment in a Prospective National Infantile Spasms Cohort. Ann Neurol 2016; 79:475-484. Brown L, Zupanc ML, et al. The neurologist’s role in supporting transition to adult health care. Neurology August 23, 2016 vol. 87 no. 8 835-840. Zupanc ML, Tran, LH. “Considerations For The Long-Term Treatment Of Tuberous Sclerosis Complex Patients with Everolimus.” Pediatr Neurol. 2015 Jul;53 (1):23-30. doi:10.1016/j.pediatrneurol.2014.10.024. O’Connor S, Zupanc ML, et al. “Treatment of Status Epilepticus with Ketogenic Diet.” Pediatr Neurol. 2014 Jan;50(1):101-3. doi: 10.1016/j.pediatrneurol.2013.07.020. Epub 2013 Nov 25.6. Swoboda K, Viollet L, Zupanc ML, et al. Alternating Hemiplegia of Childhood: Retrospective Genetic Study and Preliminary Genotype-Phenotype Correlations in 187 subjectsfrom the US AHCF registry. Pending publication in Nature Genetics. Wagner JL, Levisohn PM, Onufer CN, Uchegbu GC, Fletcher L, Zupanc ML, Browne M. Project Access: Strategies to improve care for children and youth with epilepsy: illustrations of recommendations in the IOM report on the epilepsies. Epilepsy Behav. 2013 Oct;29 (1):121-7. doi: 10.1016/j.yebeh.2013.06.036. 8. Lin JS, Lew SM, Marcuccilli CJ, Mueller WM, Matthews AE, Koop JI, Zupanc ML (Senior Author.) Corpus callosotomy in multistage epilepsy surgery in the pediatric population. J Neurosurg Pediatr 2011 Feb; 7(2):189-200. Glauser T, Craan A, Shinnar S, Zupanc ML, et al. Ethosuximide, valproic acid, and lamotrigine in Childhood Absence Epilepsy. N Engl J Med 2010 Mar 4; 362(9):790. Zupanc ML, Werner RR, Schwabe M. et al. Efficacy of felbamate in the treatment of intractable pediatric epilepsy. Pediatr Neurol 2010; 42:396-403. 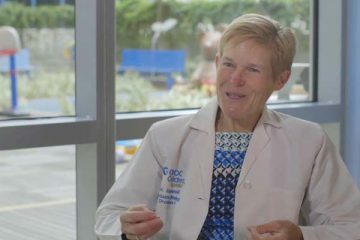 In this segment from American Health Journal, Mary Zupanc, MD, provides background on what a tic is and explains the different types of tics. 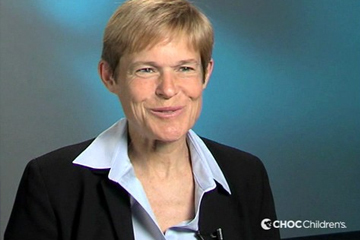 Epilepsy is the topic for Mary Zupanc, MD, in this American Health Journal video segment. She explains that epilepsy is two or more unprovoked seizures. In this segment, Mary Zupanc, MD, speaks about the most common types of headaches. She tells us headaches in children are common & are usually not serious.